Review by Jeff Moody. Photos by Justin Humbert. 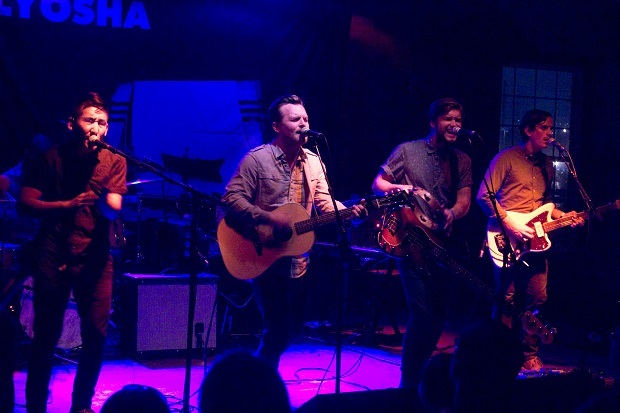 As mentioned here previously, we have been following Ivan & Alyosha (I&A) for several years so we were pretty excited to be able to catch them headlining at The High Watt, one of our favorite venues. I wasn’t familiar with Kris Orlowski but based upon exhaustive research, I was looking forward to catching his opening set as well. There was already a line out front when I arrived but it turned out to be for the industrial metal band Ministry at the Cannery. (I didn’t think it looked like the I&A crowd) As I finished checking in, Tim Wilson from I&A was walking in so we had a brief conversation as we walked the stairs to the venue. I shared that I had first seen them in 2011 at Kimbro’s in Franklin and he recalled the owner keeping them well stocked with beer during the show. We have our full review, and some great photos from Justin Humbert. Although we had “worked” a previous show together, I hadn’t met our photographer, Justin Humbert. Luckily, it wasn’t very crowded yet and Justin was only the second photographer I saw. Despite my previously mentioned research, I wasn’t sure if the opener would be the full band or solo. I didn’t see Kris Orlowski take the stage but as Justin and I were formally introducing ourselves, he began his solo set. He engaged in some friendly banter including dedicating a song to a fan (but, as he said, not in a creepy way). One high point of his set was when he stepped off the stage to perform an unplugged version of “Slide” from his new album. Although, I’d seen this done by others before, it was a very cool moment in the show. Kris finished his set with the title song from his LP, Believer. Since the merch table was directly behind me, I was later able to tell him how much I enjoyed his set as well as the video for the title track. By this time, the room was pretty crowded. Just prior to taking the stage, Ryan Carbary from I&A bellied up to the bar to cash in a drink ticket or two, so I was able to also bore him with my Kimbro’s story. 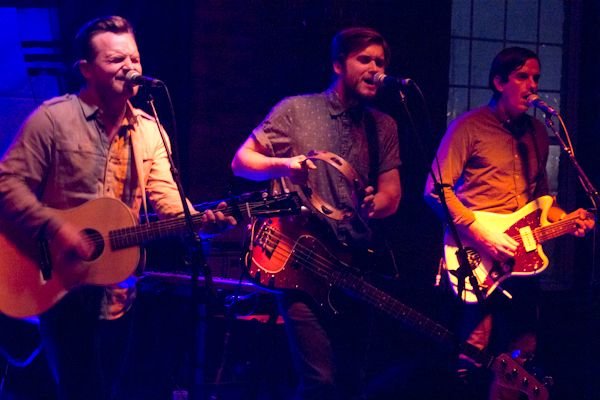 Ivan & Alyosha. Photo by Justin Humbert. I & A hit the stage pretty close to 9 pm, kicking off with a couple new songs including “Bury Me Deep” before playing “Fathers Be Kind” from an early EP of the same name. The band alternated a song or two (or 3) between the two albums throughout their set. Unfortunately, I hadn’t spent much time with the new album but had participated in their fund raising for the first one so assumed if it was new to me, it was from the new album. I immediately recognized “All This Wandering Around” as being from the new album as a result of recent local airplay. The new songs continue in a similar vein to the earlier stuff with great harmonies and infectious melodies, although they seemed to be a little less folky with more electric guitar and reverb. All I&A songs have great lyrics but a couple of new ones that stood out for me were “Don’t Lose Your Love” and the title track, “It’s All Just Pretend”. It was getting late but I believe they ended the show with “Don’t Lose Your Love”, “Let Me Go East” (new) and “Be Your Man”, as well as introductions of Uncle Pete on piano and Cole Mauro on drums. During the show, Tim said how much they enjoyed Nashville with a couple songs having been written here. Let’s hope that means a quick return.